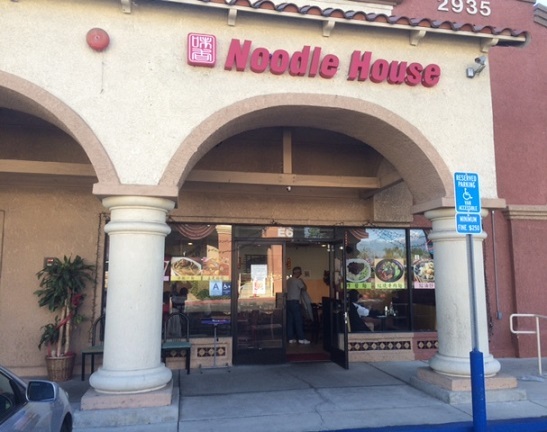 Chino Hills is home to numerous Chinese restaurants in the San Gabriel Valley style, and if perhaps not to that level, they’re often very good. I tried another one recently pretty much at random: Noodle House. It’s in a Mediterranean-looking shopping plaza maybe a half-mile west of the 71 Freeway and near the Harkins 18. At least one other Chinese eatery is in the center, Home Cooking. Haven’t tried that one. Noodle House is small and bustling. I was there for a late lunch and the place was almost full. Someone had just left, thankfully, and I was given their table once it was cleaned. The menu had appetizers, soups, dry noodle dishes and specialties. 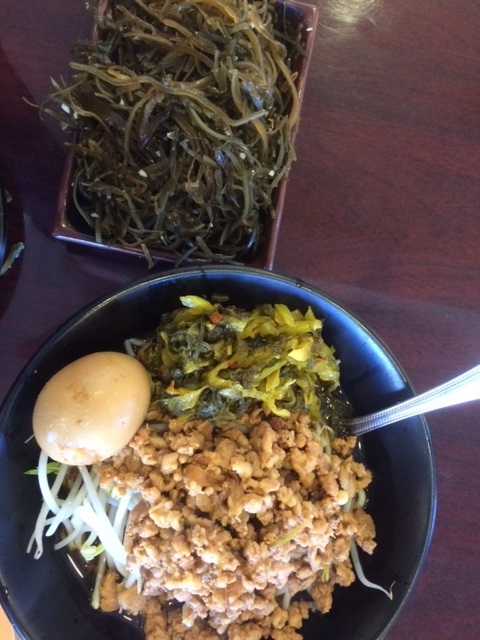 I got a seaweed salad ($3) and shredded pork with dry noodles ($5). The cold salad was light and lightly chewy; the bowl was hot. I really liked both dishes and took half of each home, where they were also delicious in the coming days. The staff’s English was pretty good, and service was brisk but not unfriendly. People on Yelp talk about the fried fish filet with seaweed and the beef soup with handcut noodles, so I may not have ordered anything extraordinary. But I recommend the place. This entry was posted in Restaurants: Chino Hills and tagged Chinese, Chino Hills, restaurants by David Allen. Bookmark the permalink.